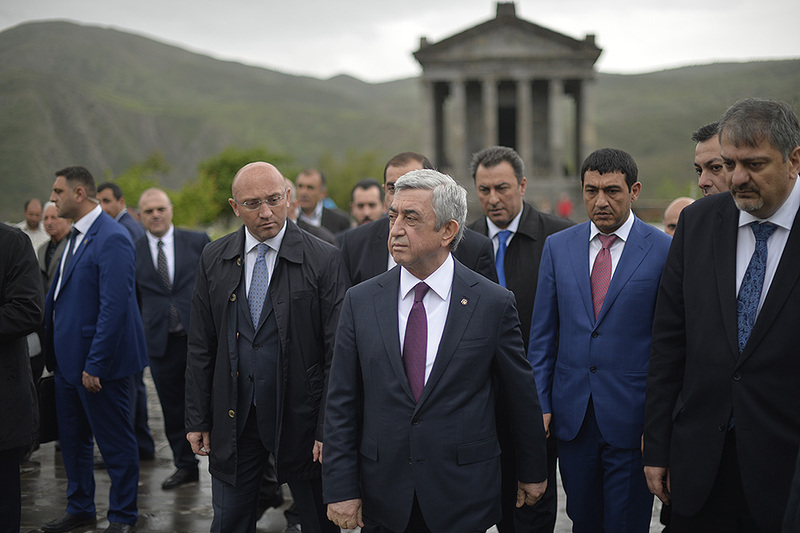 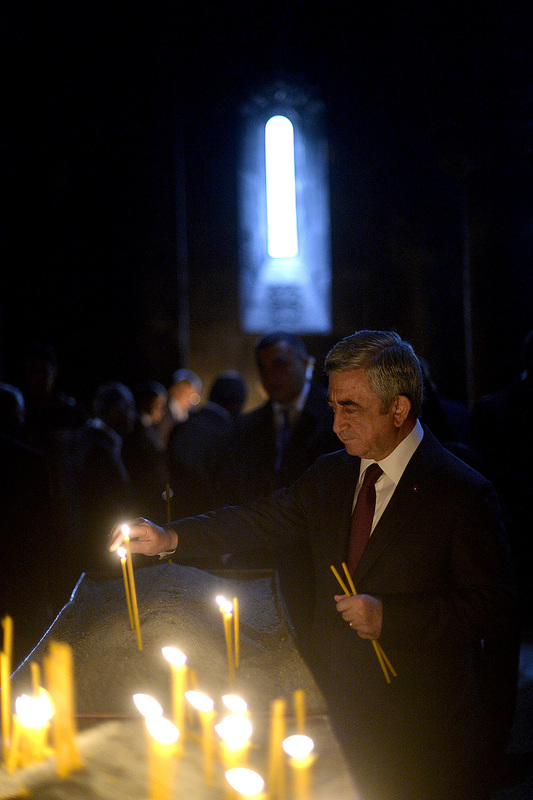 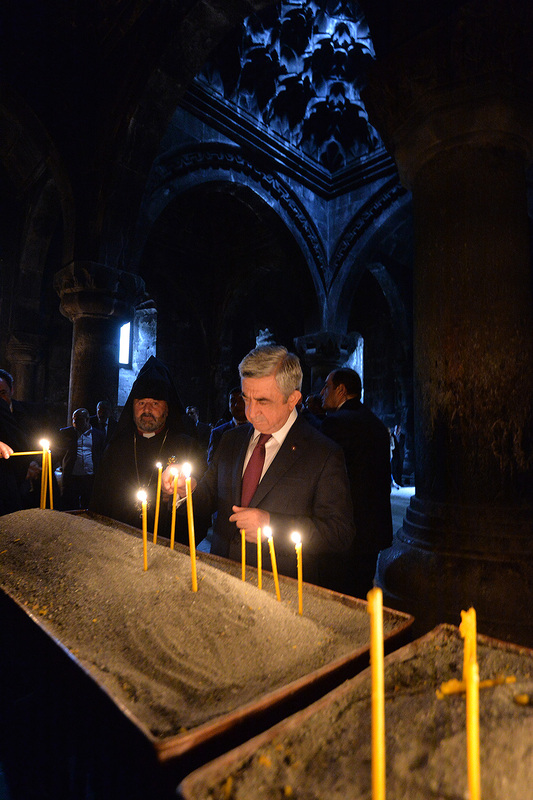 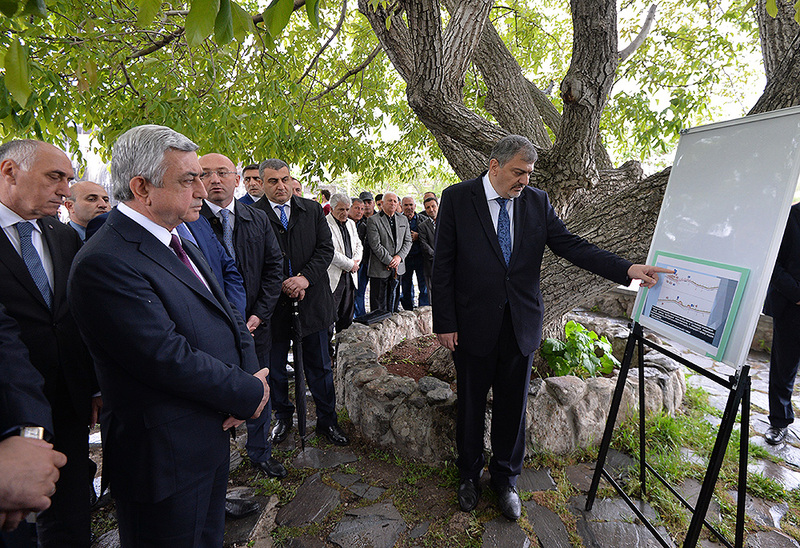 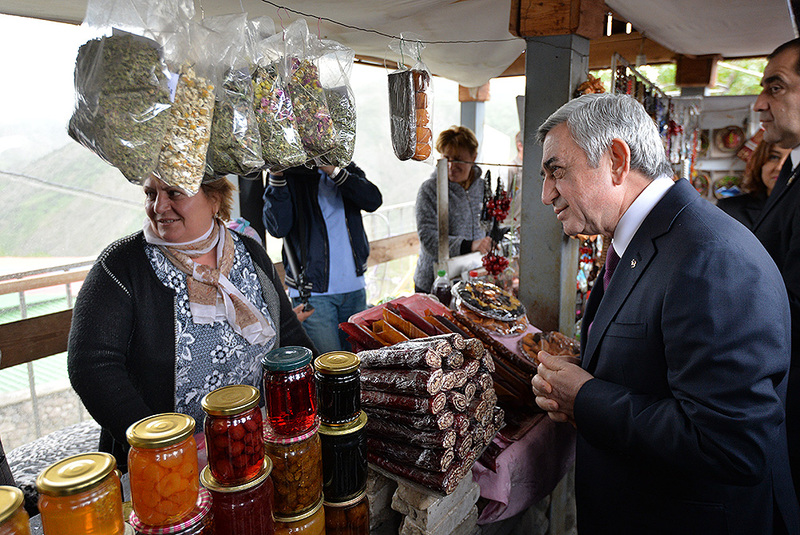 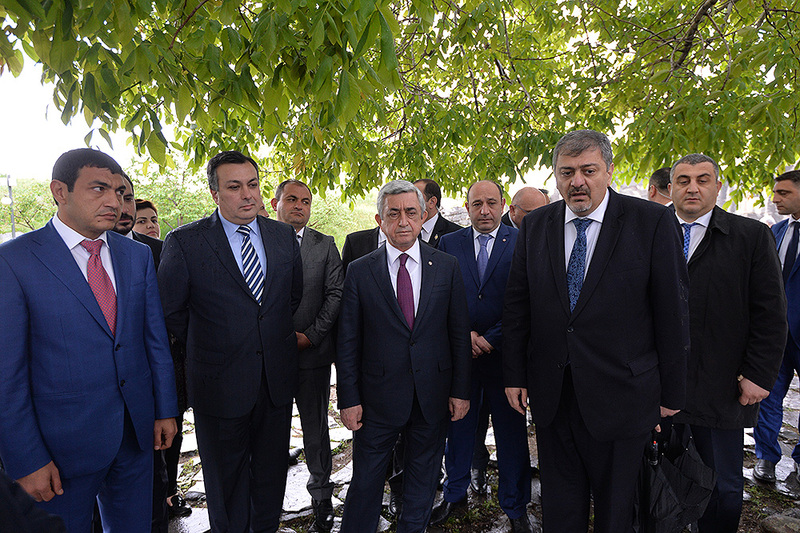 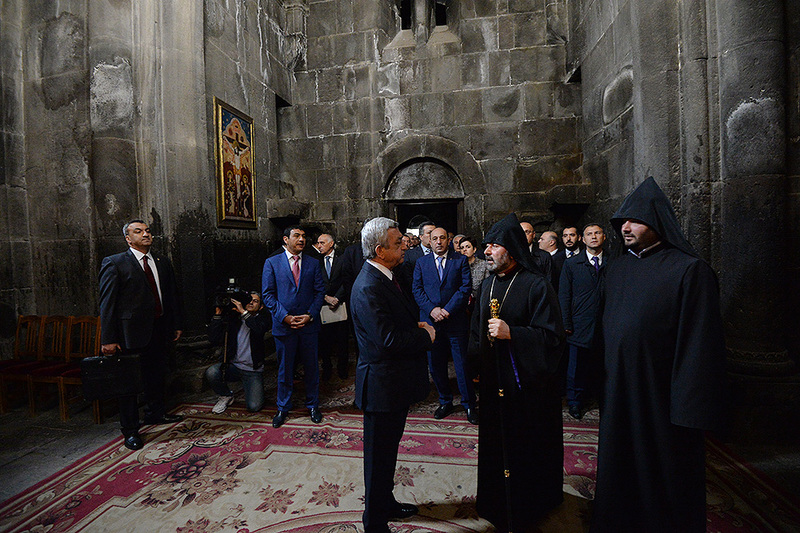 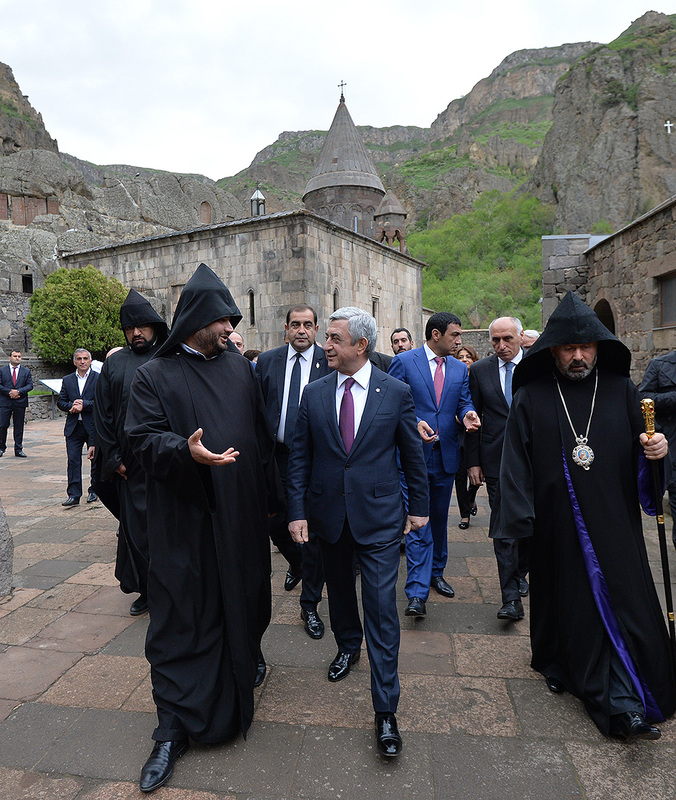 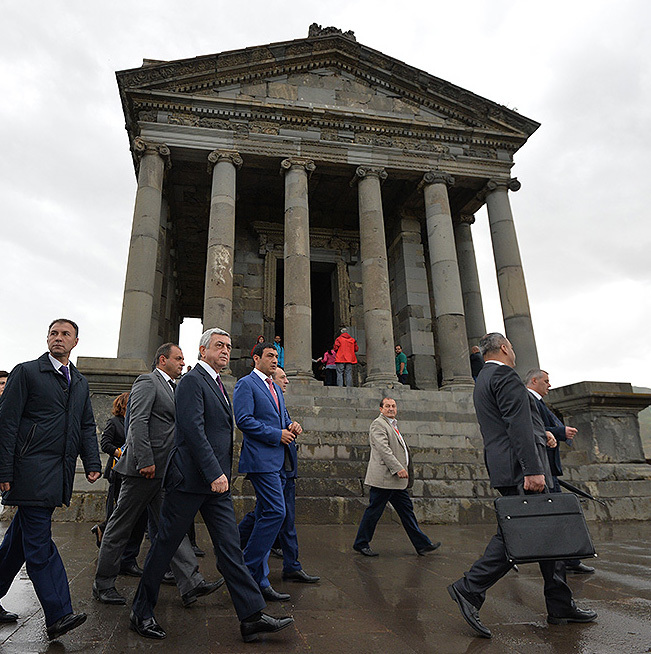 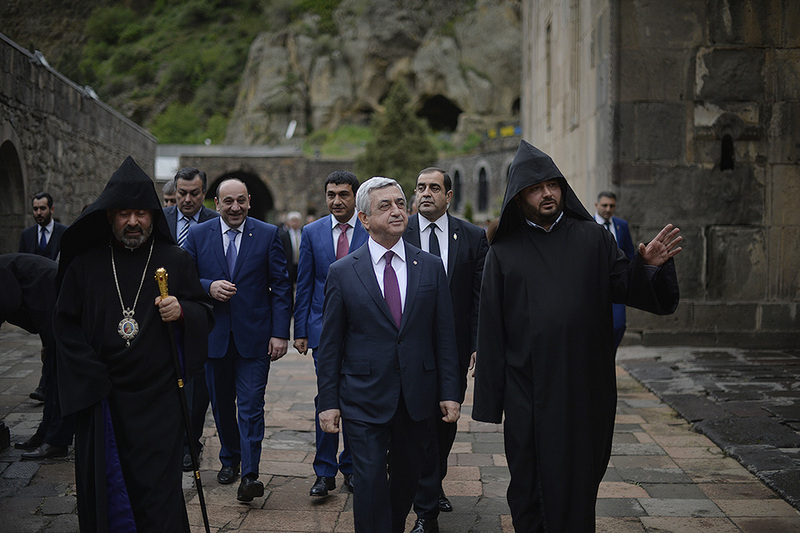 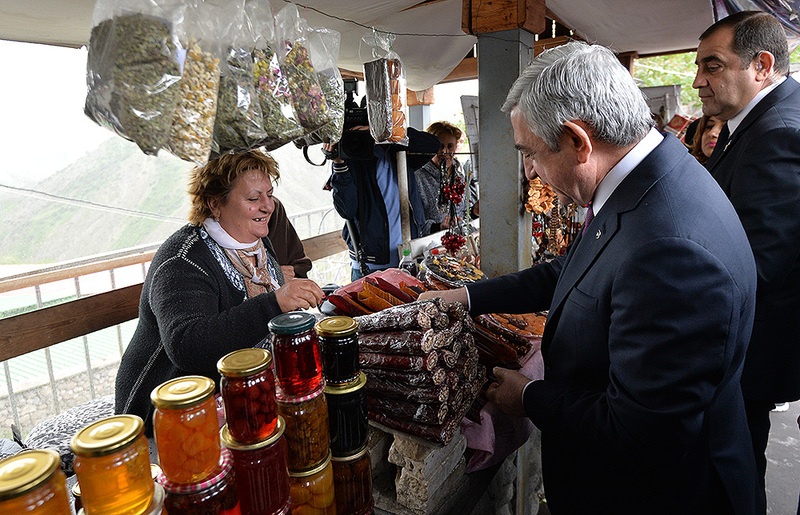 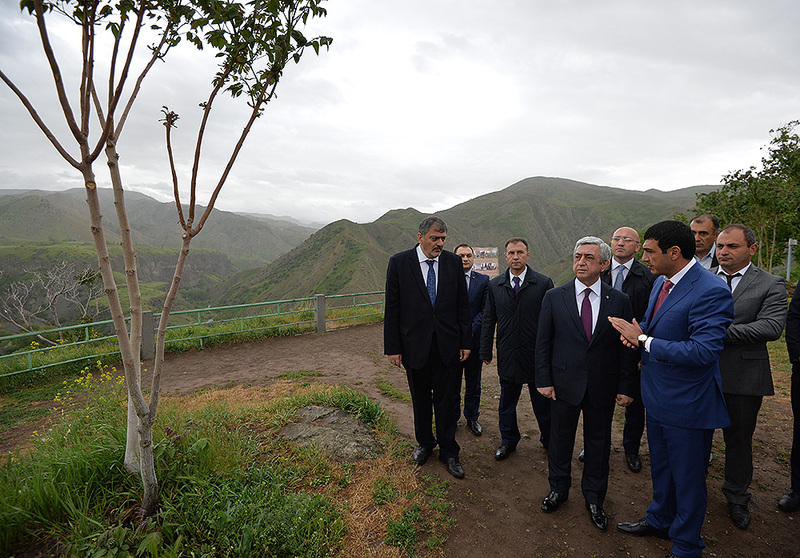 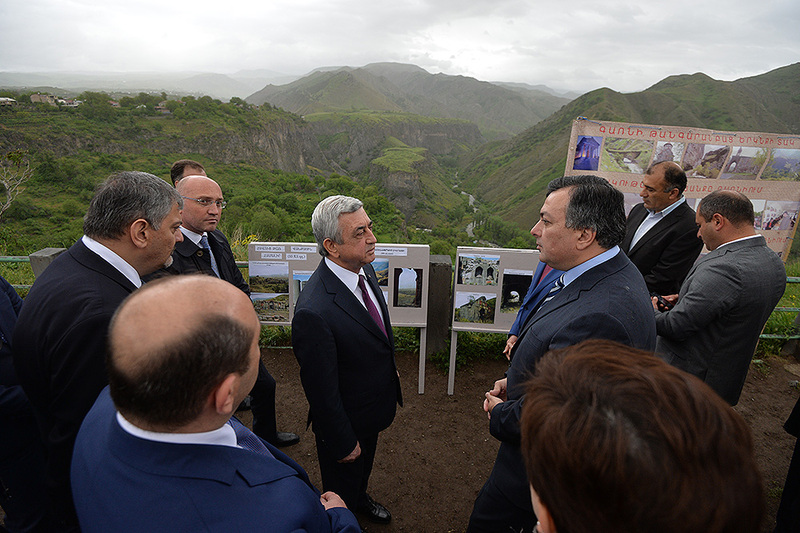 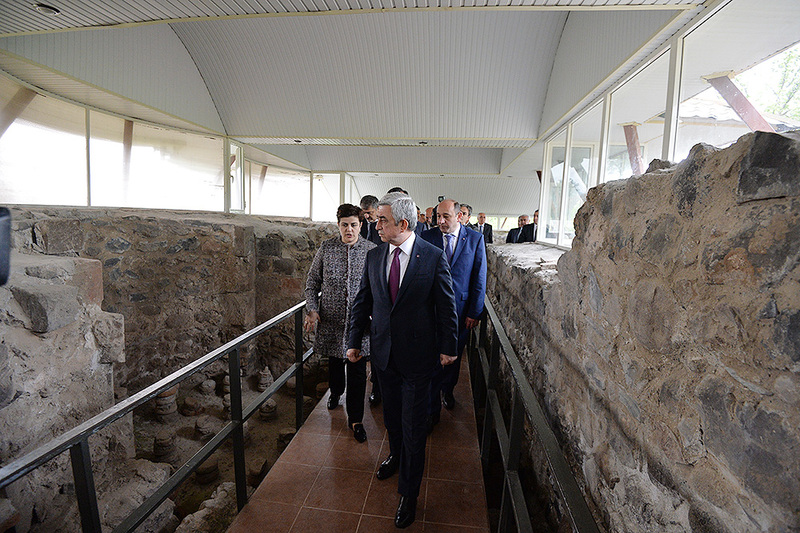 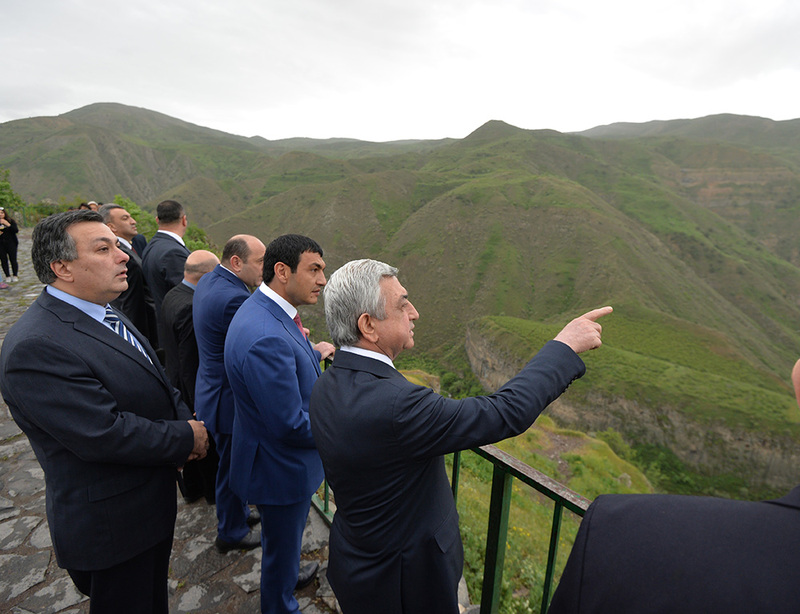 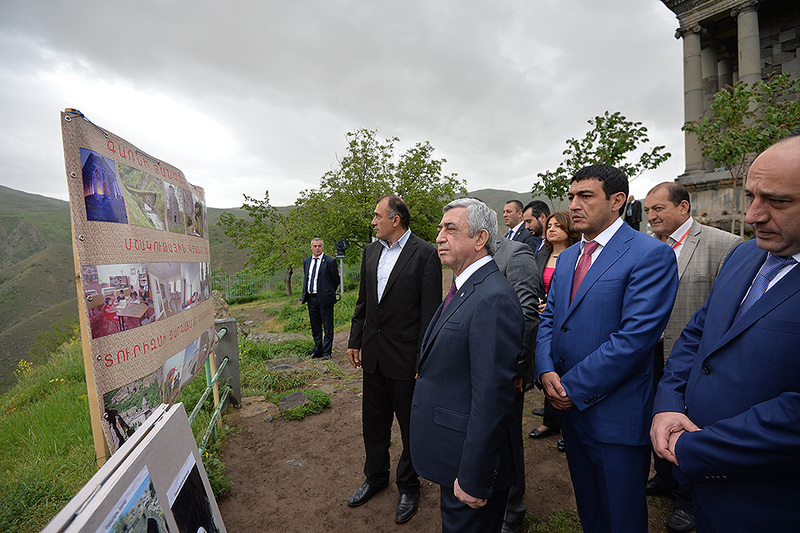 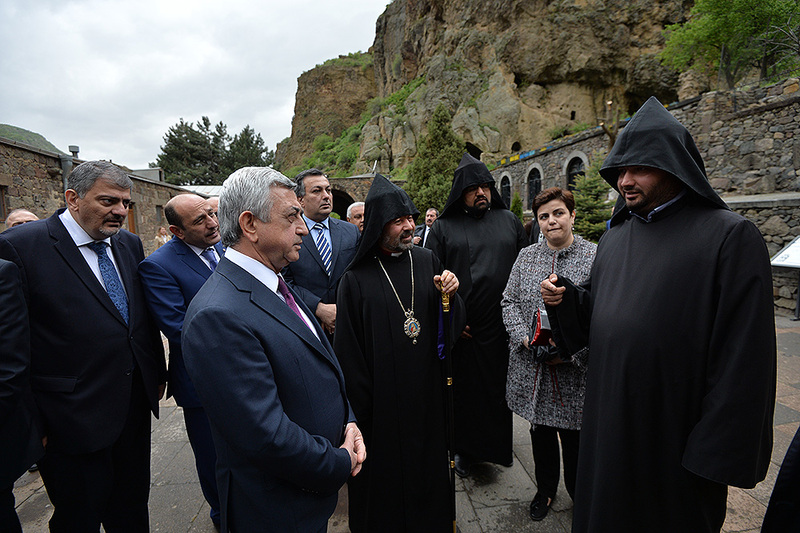 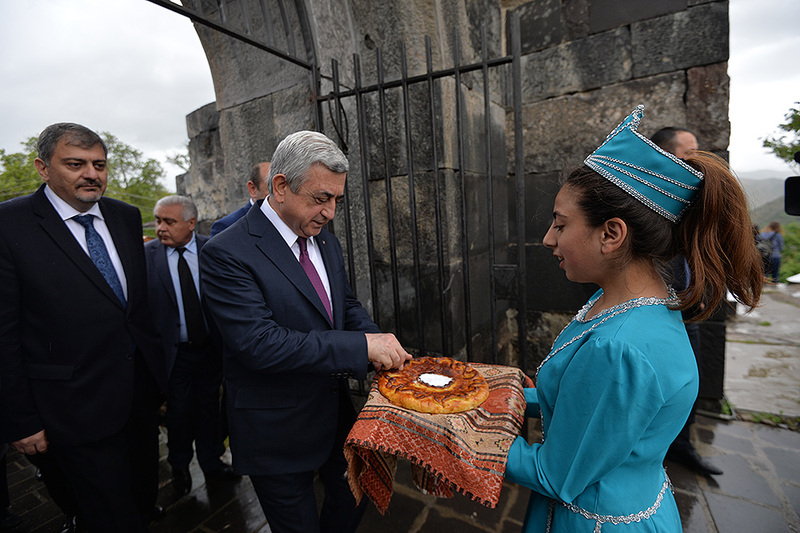 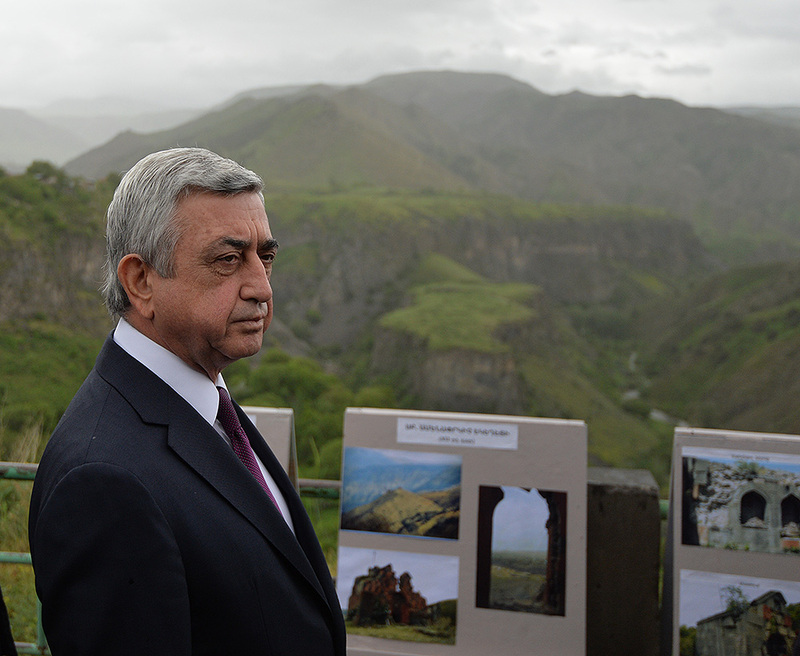 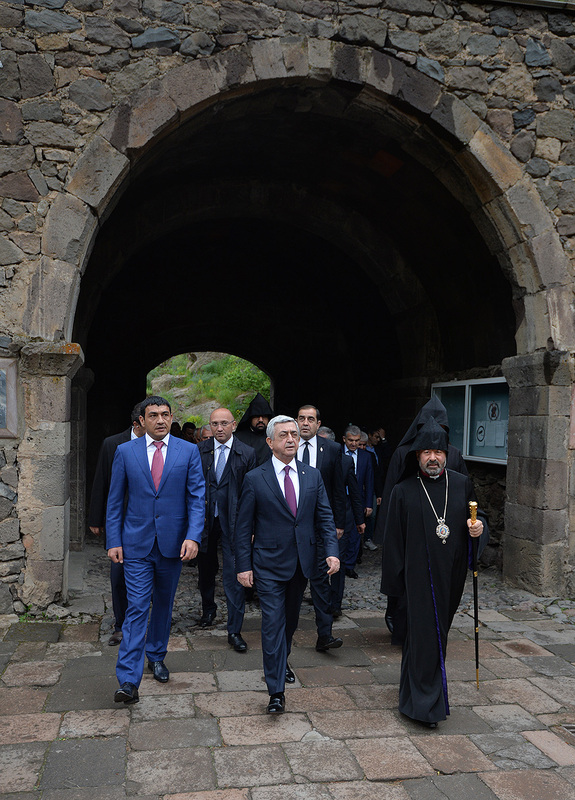 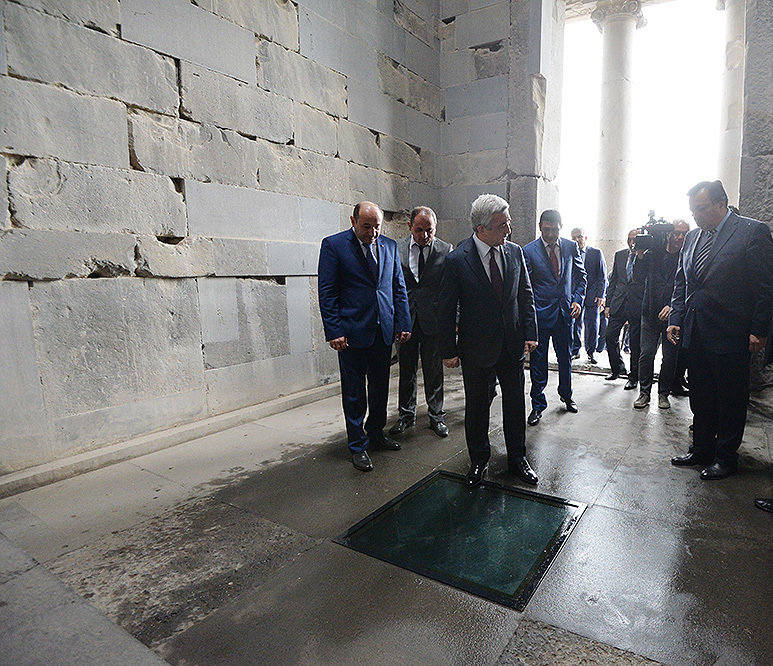 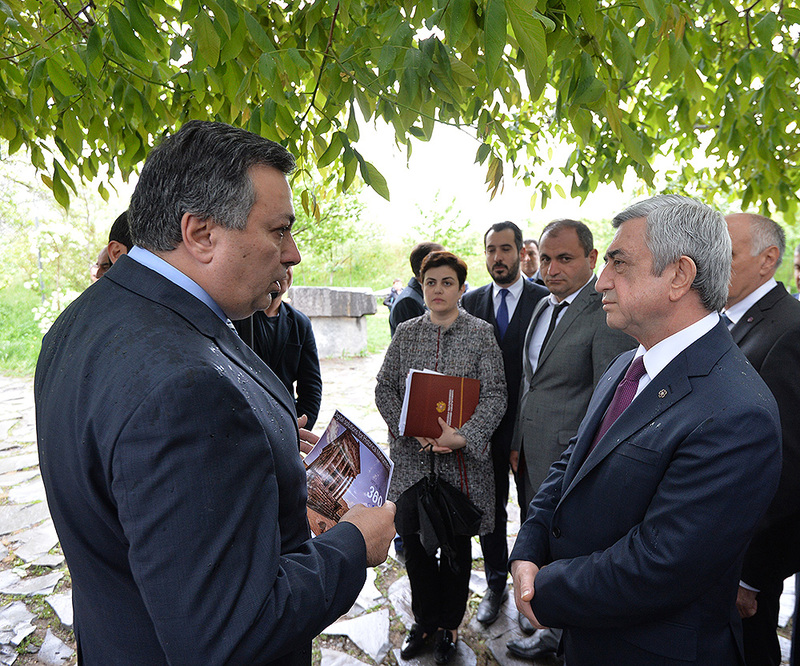 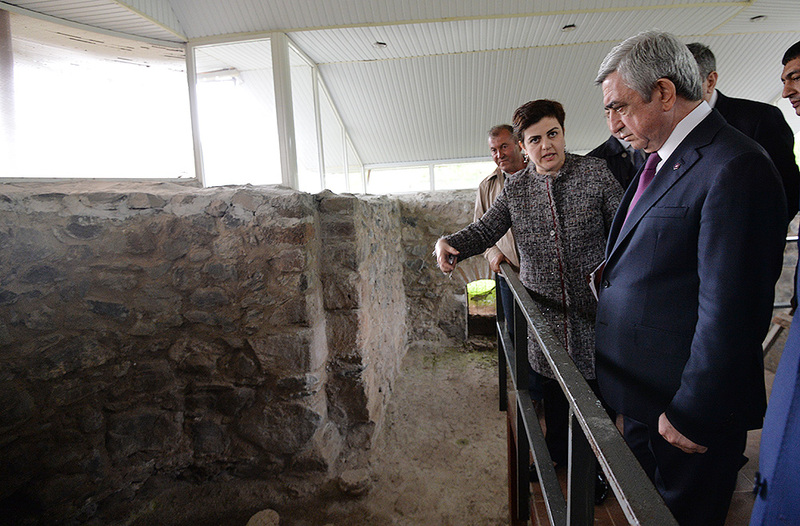 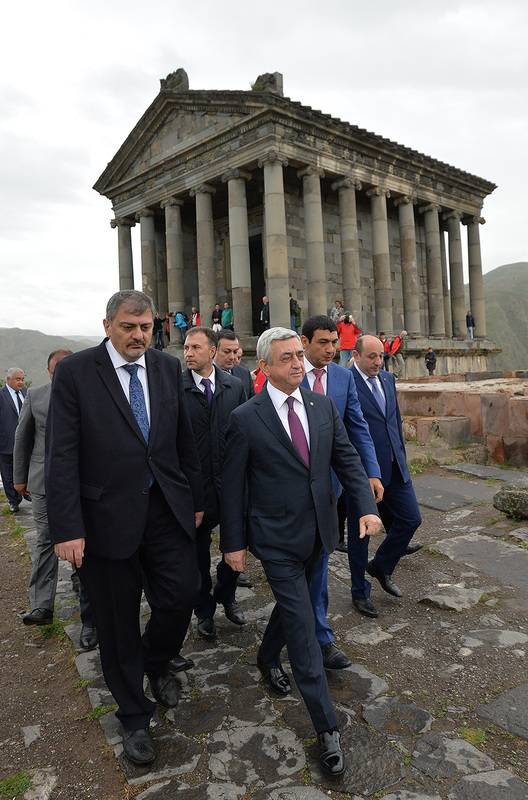 President Serzh Sargsyan conducted a working visit to Garni and Goght community of Kotayq marz. 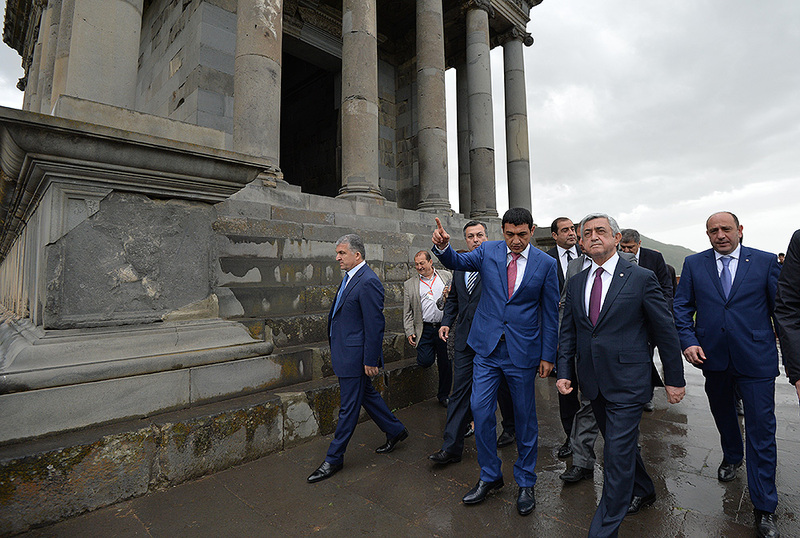 Accompanied by the Acting Vice Prime Minister, Acting Minister of International Economic Integration and Reforms Vache Gabrielian, Acting Minister of Economic Development and Investments Suren Karayan, Acting Minister of Culture Armen Amirian, heads of local and territorial administration and other officials, the President of Armenia toured the Garni historical and cultural refuge-museum. 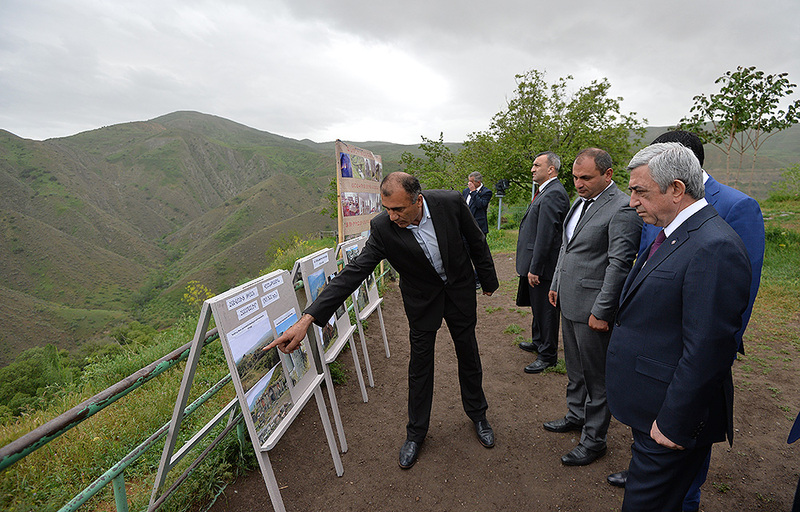 Serzh Sargsyan familiarized with the infrastructure development programs, projects on the introduction of modern technical facilities for the organization of tourist visits, the road construction and other works carried out in the framework of the Local Economy and Infrastructure Development program, and learned about the investment programs to be implemented in the state-private sector format. 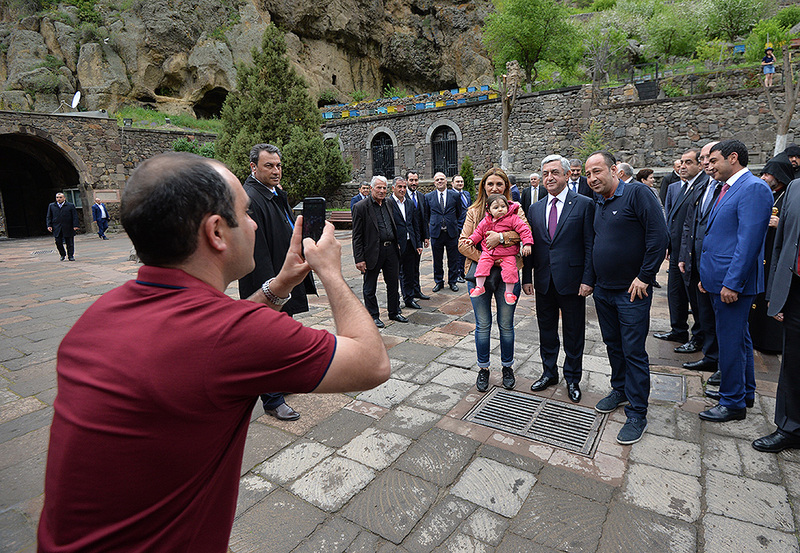 He also conversed with the residents of Garni community. 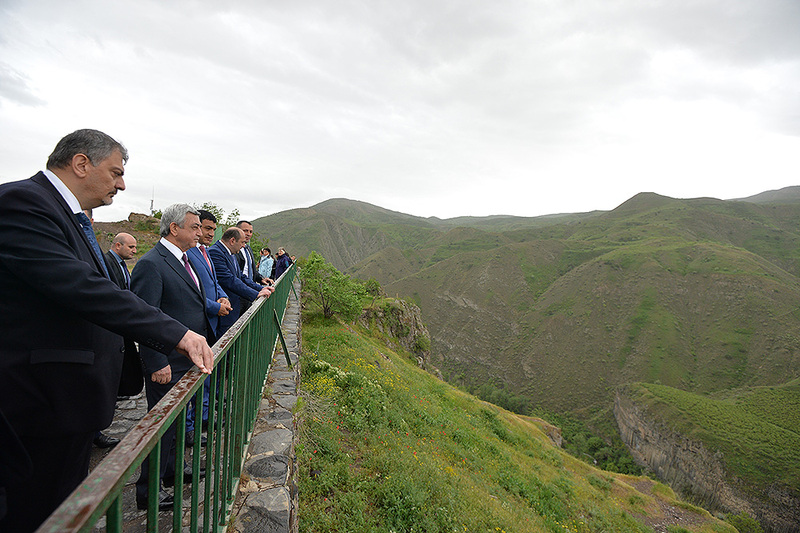 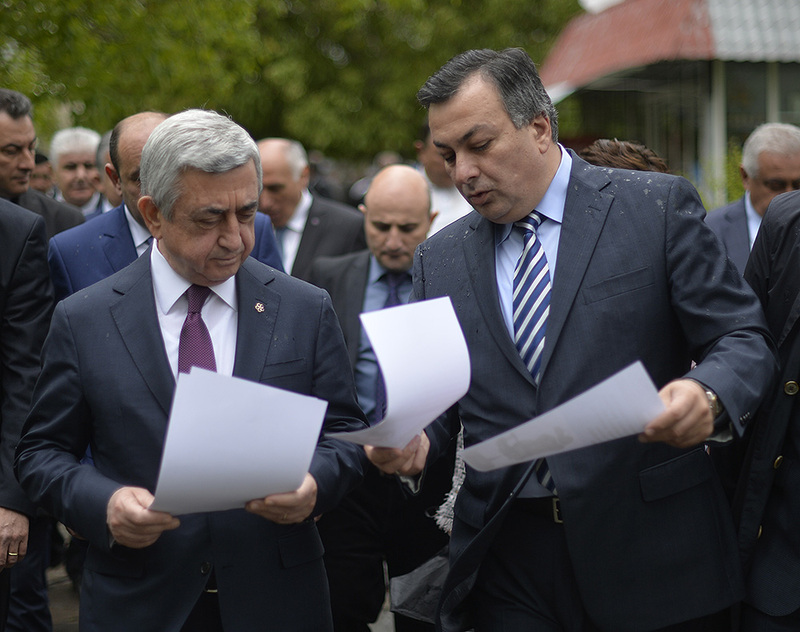 In the course of the tour, Serzh Sargsyan was informed on the process of implementation of the orders issued during the earlier held meeting on the priorities of Kotayq marz, including opportunities for the development of tourism potential. 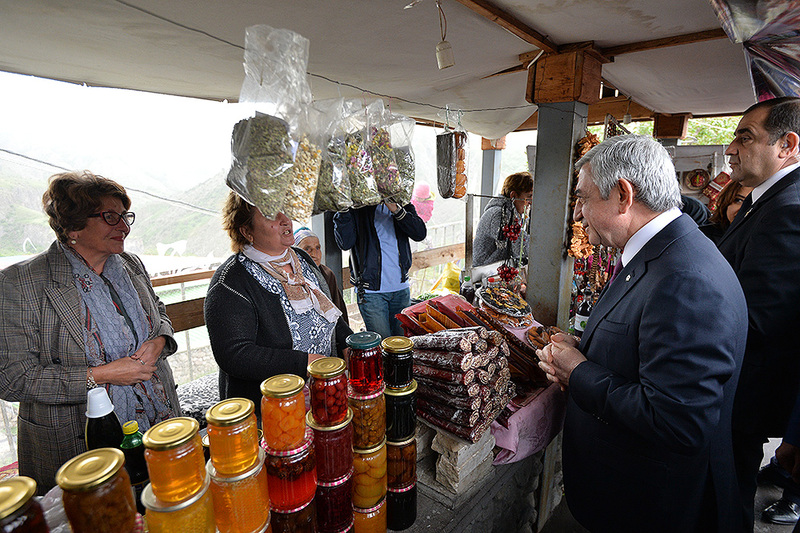 In the framework of the visit, the President visited also Goght community. 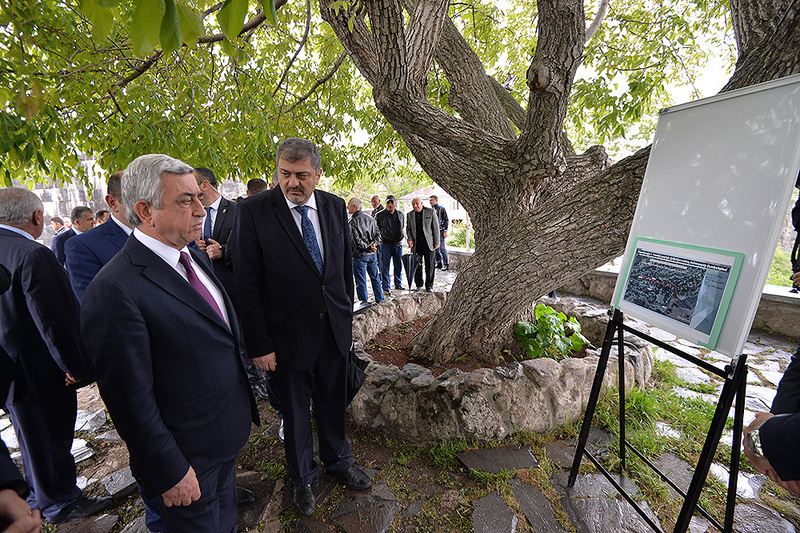 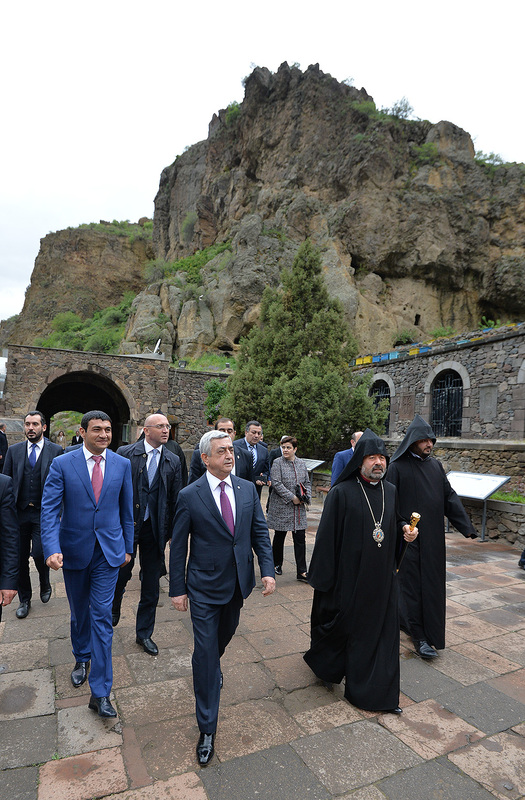 Accompanied by the mentioned above officials, as well as the Primate of the Kotayq Diocese of the Armenian Apostolic Church and head of Goght community, President visited Geghardavank where he familiarized with the current works carried out in the framework of the Local Economy and Infrastructure Development program and issued pertinent directives.